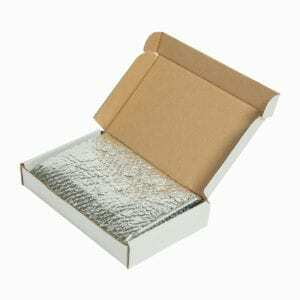 Our Chilltek range includes thermal boxes, envelopes and pockets. Our temperature controlled thermal boxes, come in a variety of sizes with a choice of four insulation methods to create a temperature controlled packaging unit for the safe transit of your product. The robust double wall corrugate outers offer maximum protection in transit. Manufactured in the UK, you can be sure our off-the-shelf range of Chilltek boxes (available in six different sizes) can cope with all the challenges faced by courier deliveries. Arriving in flat-packed space saving bundles, simply build on demand and insert your choice of liner. The clean, sharp white kraft exterior has clear print that indicates there are temperature sensitive goods enclosed. Bespoke print and sizes available on request. No fuss, no two piece assembly, the Sorbafreeze Chilltek foil insulated box arrives as one piece ready to pop open and pack! Our unique seam free base not only prevents leakage out but also stops any contamination coming in! The integrated triple layer foil and bubble liner, reflecting almost 100% of radiant heat guarantees safe delivery of your temperature sensitive goods for up to 48 hours whilst maximizing space in both your package and warehouse. Designed to combat storage issues with pre-moulded polystyrene boxes, our flat pack 20mm polystyrene tiles (6 piece set) offer a great solution to businesses looking to achieve excellent temperature controlled performance, keeping your goods temperature safe for up to 48 hours. The Chilltek range of poly boxes have been the preferred choice of the seafood industry for years. Lightweight but durable with outstanding shock absorption to provide protection during transportation, they can also be re-used multiple times. 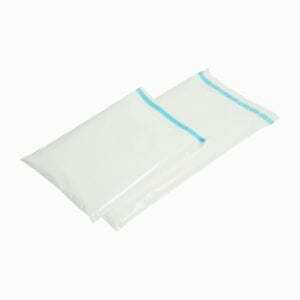 Available in 20mm wall thickness for chilled goods or 40mm wall thickness for frozen goods. 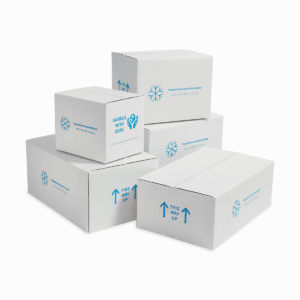 100% Environmental EnviroPak offers a 100% paper-based alternative to foam/polystyrene that perfectly maintains temperature sensitive goods during transit for up to 48 hours. It is 100% recyclable and biodegradable. For smaller deliveries that do not require the corrugated outer protection, we can offer a range of off-the-shelf envelopes and pockets to suit your needs. Bespoke sizes and branding is available if required. The exterior is manufactured from puncture resistant, full recyclable LDPE teamed with an internal fully sealed pocket created from dense layers of insulating protective foam. Two temperature maintenance options are available; one for up to 36 hours and one with 50% additional insulation for up to 48 hours. Multi-layers of foil and bubble to separate chilled from ambient goods or to create an insulation liner in a standard corrugated box. This acts as a liner for delivery of smaller orders and product samples. 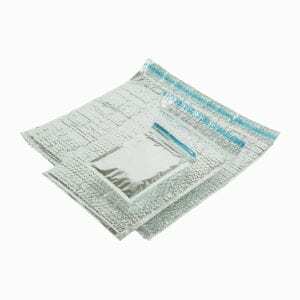 Simply add your choice of gel ice pack (either Sorbatek or Hydratek) to your choice of our Chilltek range to create the complete temperature controlled insulated thermal packaging. Get in touch for guidance on ice to product ratios.